Reveal your rustic side with these vintage-inspired gems! 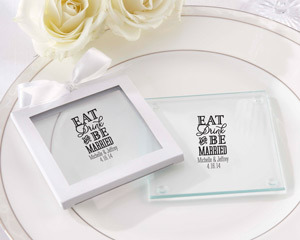 Embellished with a multi-font print, these gorgeous glass coasters from Kate Aspen come with an "Eat, Drink and Be Married" design, versatile enough for a classic modern wedding or an outdoor country affair. 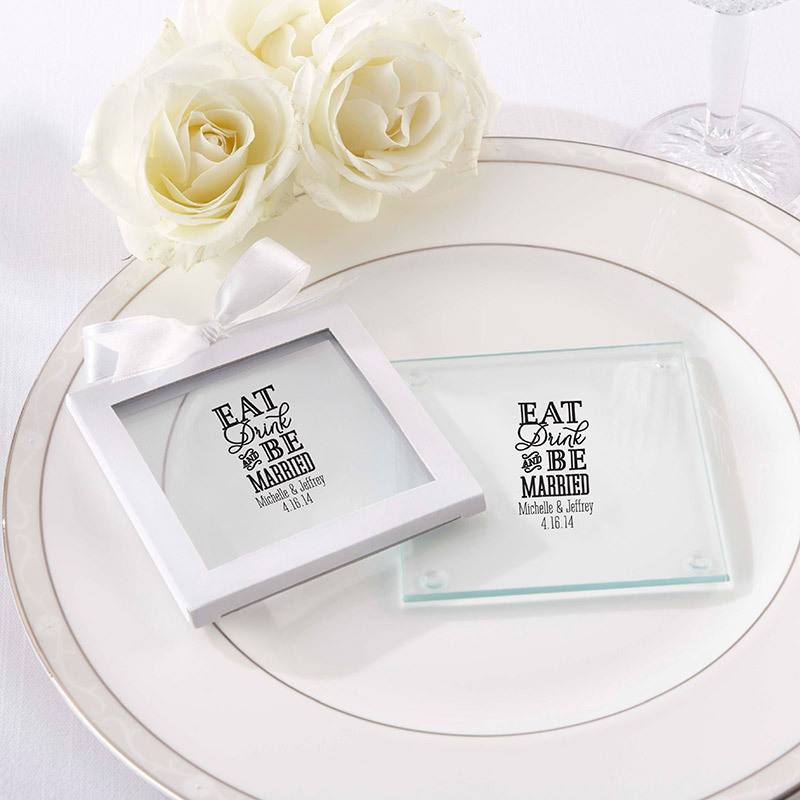 Use them as party favors for guests or as part of your bridesmaids gifts.